Dutch website Android Planet got the word that the country's national police has ordered an alleged 35 000 Samsung Galaxy S5 units to replace its officers' old BlackBerries. The fingerprint scanner inside Samsung's flagship phone will help the police take and check fingerprints, while its other capabilities will help with scanning documents and questioning. The phone's dust and water resistance and the built-in Samsung KNOX security suite are a welcome addition to any device that's meant to be worn on duty. Additionally, the Dutch police will introduce its own app for fining individuals and identifying them by fingerprints. In somewhat related news, the Dubai police force will start using Google Glass to fine motorists on the spot and identify wanted vehicles. It is said that Google's shades are being trialed by the Dubai Police Smart Services Department as we speak. Together with their Lamborgini cruisers, the addition of Glass, which costs $1500 apiece, will officially make Dubai's police the highest-rolling law enforcement in the world. So, there you have it - smart-watches, smart-glasses, smart-earphones, smart-clothes, smart-appliances... and now, smart-cops. What can we say, welcome to the connected age. Police officers with google glass?????????? And yet some people still don't want to accept that Google is nothing more than a Blackwater (private military contractor) version of the NSA. smart cops/droid cops to robo cops.. But can their s5 stop a bullet? They use them as bandaids if they get hurt I suppose..haha!! They chose the best of what's available. Not no fourth rung device bottom feeder. Jelly on. Yes,let's get rugged phones,remove the bullet proof vests and have no features that are needed for the police. And tell me how you don't enjoy your windows phone because it isn't bullet proof. Your comment is useless. A phone isn't going to save your life even if it's bulletproof,a vest will. 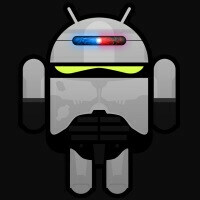 Hey fandroid maybe you can laugh as I did aka a joke and the Nokia phone DID save that cop from taking a bullet. Stop being a retard for a moment and comprehend better.. I swear you fandroids are the most stupid bunch I've ever seen. Get off my planet.! Please.? The last part is reflected in your own posting. Be honest, you played with wording to slander the s5 under a joke cloak. So chose nokia because it once saved an a*s. Wow, jealous? Samsung rules the world and your nokia is sold, burried and even the name wont remain. And about windows phone, the no app no games no possibilities with cheap 520/620 making more than 70% of the sales. Go to h*ll and stop mentionning windows f@rt everywhere, no one cares. Actually, I don't like Galaxy type phones, home button kills me. You trolled, I trolled, the world is still ok. Sorry WP fans, my comment wasn't called for. Dubai where police drive a Lamborghini and wear Google glasses... ._. I see its only in Dubai whereby its better to be police than a civilian. Every SmartCop needs SmartPhone or SmartGlass. Note to Samsung: please replace "Smart" with "S-" and file patent. Note to Apple please replace "Smart" with "i" and file patent.